optimism Archives - A Questionable Place by Em.D. It was that last year in proper University, the time before I started slipping into performances to watch professors profess, before I was taking my desire’s desires to heart. It was for the sake of learning alone. We are talking my 7th year in university and a class that was one of many beautiful terrors, the terror of beauty. 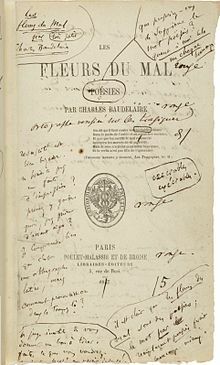 I can’t explain my struggle with Charles Baudelaire at this moment, but let’s say a French name to my naive glottal was lost and the resulting articulation was one for embarrassment to all who listened, particularly the professor, who corrected me thrice. I have never experience sentences of your kind. The exploration of art for art’s sake, and then to find a sentence that kept turning my mind, wanting me to read it over and over and over, was unbelievable to my virginy mind. A thousand blushes of naivety. And this one book explained myself to me with words that I hadn’t yet discovered to put upon my own experience. It had been my experience that being is it, being for the sake of being, being without having to be anything other than the beauty that is life. And you are life. I am life. We are in existence, and beauty matters to me. If your life is simply your art, than you experience things in a different way than most. Every moment, when you are awake to it, becomes a part of your story, of your paintings, of your words. And that only comes after the experience. To have the experience, adn then turn the translation for others, well that is the art of sharing. Art of a being is circular. It lives like this, live and be, create and translate those experiences as you might, share or give away to others to ingest as they will. And it becomes a kind of circular sensation. There are transitional moments in all of it, in places that gifts you the opportunity to feel and emote, to experience and twist life all upon your body and mind. But if you are the tongue and the taste, and the taster, you must believe that nothing turns on another like sharing the kiss. Who wouldn’t be attracted to such potential. Follow along on this adventures and more importantly share your own if you are so inclined.